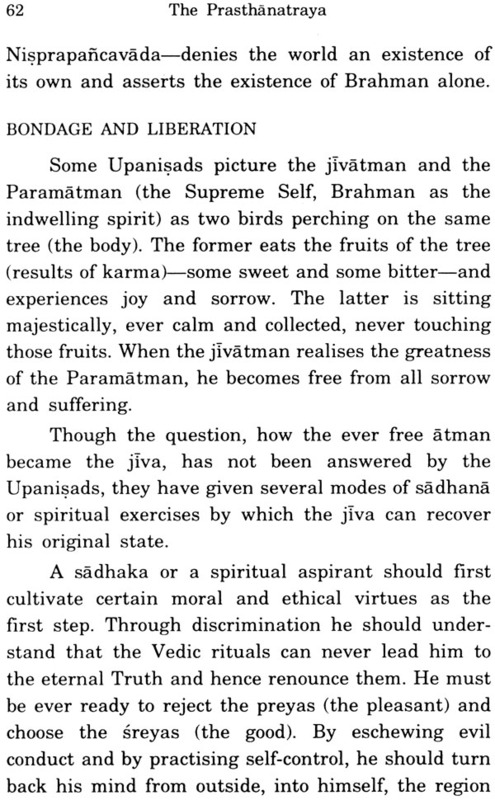 Among the six systems of Hindu philosophy-generally called the Sad-darsanas-the Vedanta system is certainly the crest jewel. With a balanced combination of great respect for the Vedas and incontrovertible logic that demolishes the non-Vedic systems, it has earned for itself an unenviable place among the well-known philosophies of the world. The Vedanta system is built primarily on the Prasthanatraya, the three foundational works that take one to the final goal of life (=prasthana). They are: the Srutiprasthana (Upanishads); the Smrtiprasthana (the Bhagavad-Gita) and the Nyayaprasthana (the Brahma sutras). 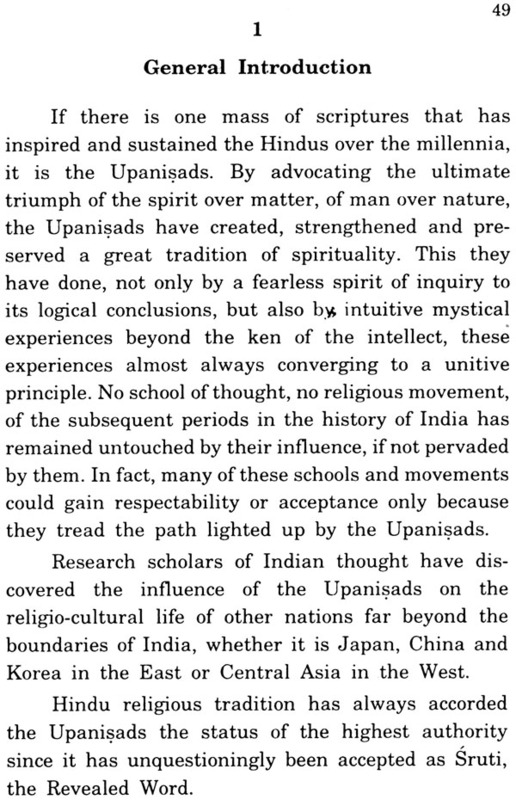 Of these three, the Upanisads being the Sruti, the cardinal scripture of Hinduism, are of utmost importance. 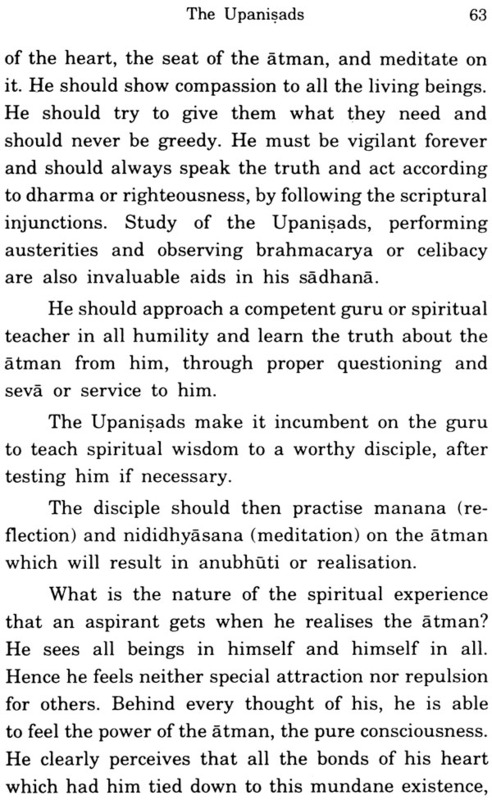 The Brahmasutras, being a systematization of the philosophy of the Upanisads, helps in building up the metaphysical frame of Vedanta. 1. It was taught by Srikrsna, looked upon as the best of incarnations of God. 2. It is a part and parcel of the Mahabharata, considered as the Pancama Veda (the fifth Vedas). 3. 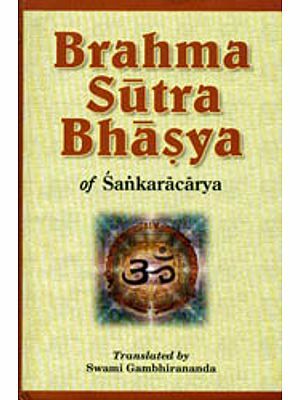 The author of the Mahabharata and of the Brahmasutras was according to the arthodox Hindu traditions, the same-Badarayana/Vyasa. 4. The philosophy of the Bhagavadgita is extremely similar to that of the Upanisads, so much so that it has been described as the 'milk' of the 'cows' of the Upanisads. The present work is not new. All the three sections included here had been published earlier as independent booklets. 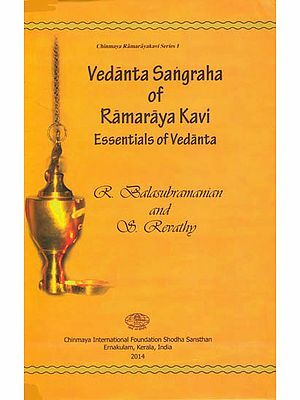 Thinking that bringing these three booklets together, under the general title of Prasthanatraya may help the students of Vedanta to comprehend the subject better, this bigger treatise has been brought out. We can only hope that this new venture will not go in Vain. 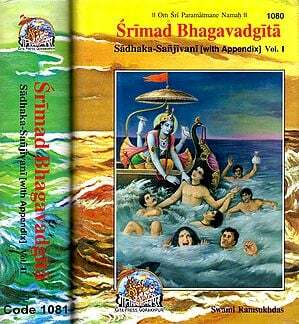 The Bhagavadgita, popularly known as the Gita, is one of the outstanding religious classics of the world. Hindus, irrespective of their sects and denominations, cherish great reverence for this book. A ceremonial reading of the book, or even a part thereof, is believed to confer great religious merit. The book itself, comprising eighteen chapters, forms an integral part of a much bigger work, the great epic, Mahabharata (vide Bhismaparva, Chapters 25 to 42). It is a poetical work in the form of a dialogue between Srikrsna and Arjuna, on the battlefield of Kuruksetra. The setting of the battlefield contributes a dramatic element to the book and relates religion to the realities of life. The greatness and the popularity of the Gita can be attributed to several factors. It is a part and parcel of the epic Mahabharata which itself has been highly venerated as the fifth Veda (Pancama- Veda). The teacher of the Gita is Srikrsna, who is regarded by the Hindus as an avatara or incarnation of God Himself. An ideal friend, a great statesman, an invincible warrior, a wise preceptor and a yogi par excellence, he harmonizes in his life the various conflicting activities of life. It is precisely this that makes him the fittest person to preach such a religio-spiritual classic. Arjuna, the recipient of the teaching, though himself a great warrior, is a typical representative of the humans, liable to be upset or confused during periods of crisis. Hence, his predicament, very much represents ours, in a similar situation. The questions, doubts and misgivings he raises and the solutions that Srikrsna offers are not only relevant but also valid even today. There is an additional reason too. 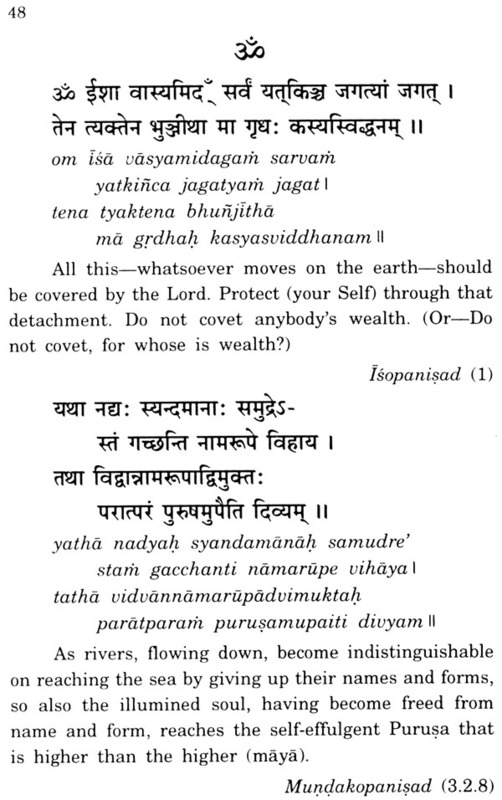 The Hindu Vedantic tradition has always regarded the Prasthanatraya (the three foundational works) as its basis; and the Gita is one of them, the other two being the Upanisads and the Brahmasutras. 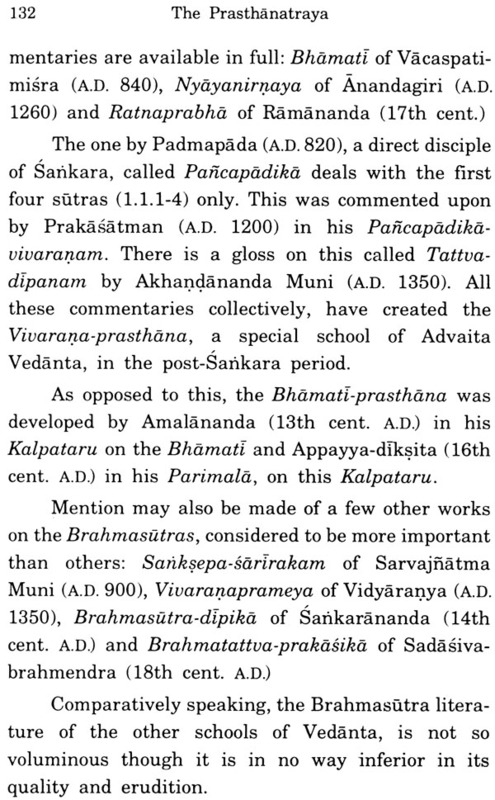 That is why Sankara (A.D. 788-820) and other ancient teachers have chosen to write commentaries on it. Since the Gita: is an integral part of the epic Mahabharata, its date and authorship are obviously those of the epic itself. 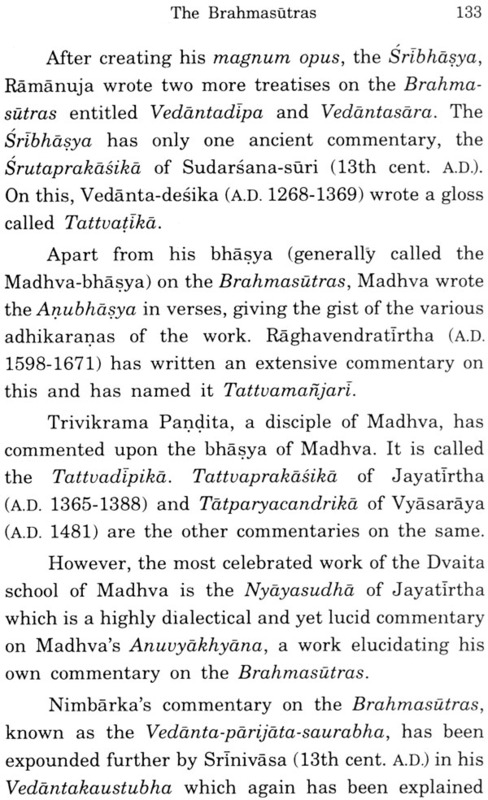 Krsna Dvaipayana, better known as Vedavyasa, is reputed to be its author. As per the Hindu oral traditions based on their notion of time as the yuga-system, the Kuruksetra war must have taken place during 3139 B.c. The dates given however by the modern historians (mostly of the West) vary from 1424 B.C. to 575 B.C. At the present stage of the research, it may be difficult to clinch the issue on such chronological matters. Dhrtarastra, the blind king (father of the Kauravas) asks Sanjaya, his companion who had been endowed with divine sight to see and describe the war, to tell him as to what happened on the battle field. Sanjaya starts by telling how Duryodhana approaches Dronacarya, the preceptor and describes the various warriors on both the sides-Iust then, Bhisma, the grands ire and commander-in-chief of the Kaurava army blows his conch to indicate the commencement of the day's battle. This is followed by all the others including the Pandavas, blowing their respective conches. At the request of Arjuna, the Pandava hero, Srikrsna, his charioteer, brings his chariot and stations it in between the two armies, but right in front of Bhisma and Drona! Seeing them and observing all the others assembled there for the war, Arjuna sinks in horror and sorrow. He describes his pitiable condition to Srikrsna, argues against this fratricidal war by portraying its various evil consequences which will ultimately result in the total collapse of the socio-political system and sits down in the chariot abandoning his weapons.